Formula 1 racing is often called the ‘Pinnacle of Motorsport,’ where the best drivers in the world come together to race the fastest cars at twenty races around the globe to provide the ultimate experience for both the drivers and the audience. F1 is one of the world’s most viewed sports, with prestigious races such as the Monaco Grand Prix yielding a TV audience of roughly 25 million annually. The cars are multi-million dollar machines capable of cornering forces approaching 5g, and top speeds often exceeding two hundred miles per hour. The cars are arguably the hardest cars in the world to drive, and require intense physical and mental training coupled with on-track experience if they are to be driven to their full potential. Formula 1 used to be a relatively small-scale operation, with teams only consisting of a couple dozen members. As racing technology progressed, teams began to grow larger and larger in order to improve their cars and keep pace with the progression of auto racing. 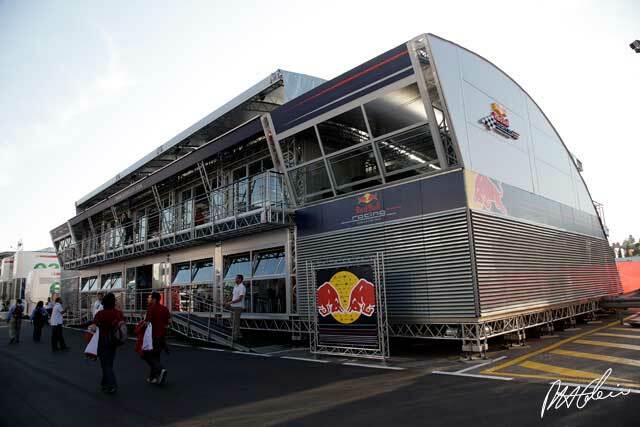 Developments in aerodynamics, light weight compounds, and computer technology brought us to the modern F1 team: A multi-million dollar operation with hundreds of employees and massive corporate sponsorship. Of course, the rapid advancements in technology came with an exponential increase in the cost of running a team, which is the explanation for the aforementioned corporate sponsorships. In the late 1960’s and early 1970’s, F1 started to become a business with the advent of on-car advertisements, and team title sponsorships (Vodafone McLaren Mercedes, for example). 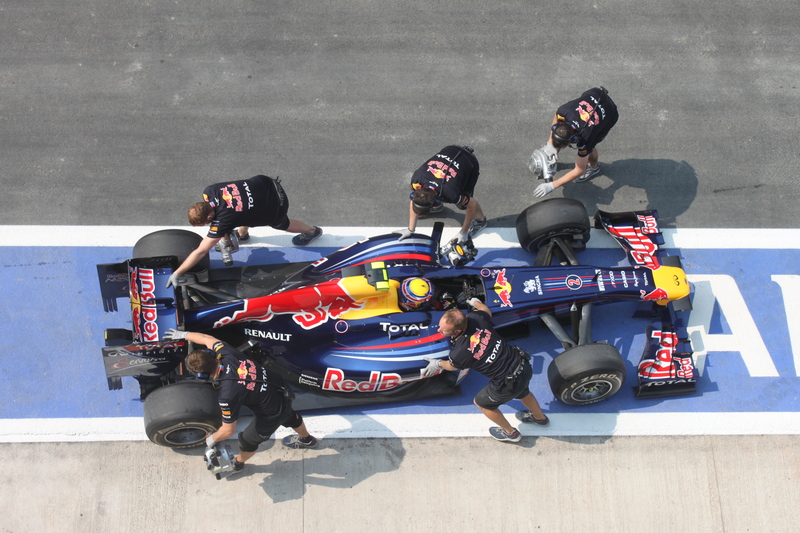 Companies began to sponsor teams in multiple ways, including strictly financial support, or joint-technological ventures in which companies would help F1 teams research into new technologies. Another way in which companies could put their advertisement in front of millions of TV viewers was through pay drivers. The concept behind pay drivers lies in companies backing young drivers with millions of dollars, essentially offering drivers to teams who need financial backing. The drivers are almost always rising talents in lower divisions who have a chance to race in F1. The reason companies target these drivers is so that they can put their advertisements on the car and in the name of the team, and the money brought to the racing team by the company will also help the team develop their car and be more competitive, benefitting both parties. By examining the impact of pay drivers on the quality of F1 racing and the safety of other drivers, I will show in this paper how the “purchase” of race seats in F1 is an immoral process that degrades the sport. One of the first moral issues brought to the table is the devaluation of the experience level of a driver. Companies are not interested in backing already-established drivers in Formula 1; rising talents naturally attract more attention from fans and the media, and will help benefit the companies further. This leads to experience in F1 becoming relatively less important, even though on-track experience is critical in understanding how an F1 car works and reacts to certain inputs. A modern example of a more experienced driver being replaced with a younger driver happened at the end of the 2012 season, when the established German driver Timo Glock was replaced by the young English driver Max Chilton to drive for the Marussia F1 team. Chilton’s father Grahame is a “multi-millionaire vice chairman of insurance company Aon” (BBC), and brings millions of dollars to the Marussia team annually. It was revealed that Marussia could no longer afford to hire a driver with a large salary, and needed a driver to bring money to the team. Timo Glock had “introduced sponsors to the team, but his salary was significantly greater than what they paid. Chilton owes his drive to the fact that his ‘salary’ is far less than the income from the sponsors he brings with him” (BBC). 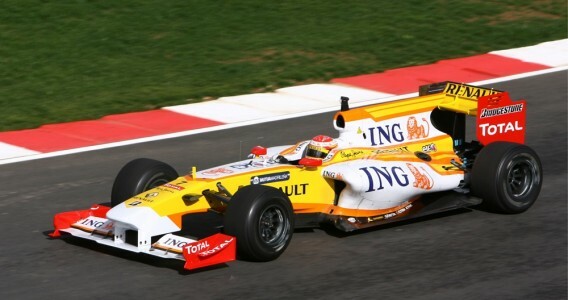 In other words, Chilton accepts a small salary to compete in F1, and most of the sponsorship goes straight to the team. It is clear why this model is attractive to the teams given the extreme costs of competing in F1, but it is also a clear act of neglect toward the critical experience of older drivers. While the money brought by Chilton would help the team develop the car, would Chilton be able to handle pressure, adapt to drivers and track conditions around him, and rebound from poor results as well as a more experienced driver? This question is one of the main reasons why pay drivers are so controversial in F1; the teams value the money they receive more than the experience of established F1 drivers, which leads to a reduction in the quality of driver that we see racing. Another moral objection here could be viewed from more of Debra Satz’s perspective in that this system could be exploiting the teams because of vulnerability. Marussia have one of the lowest budgets out of any team in F1, and failed to “manage with one pay driver and one salaried [driver]” (BBC), forcing them to hire another pay driver to replace Glock and his salary that they could not afford. 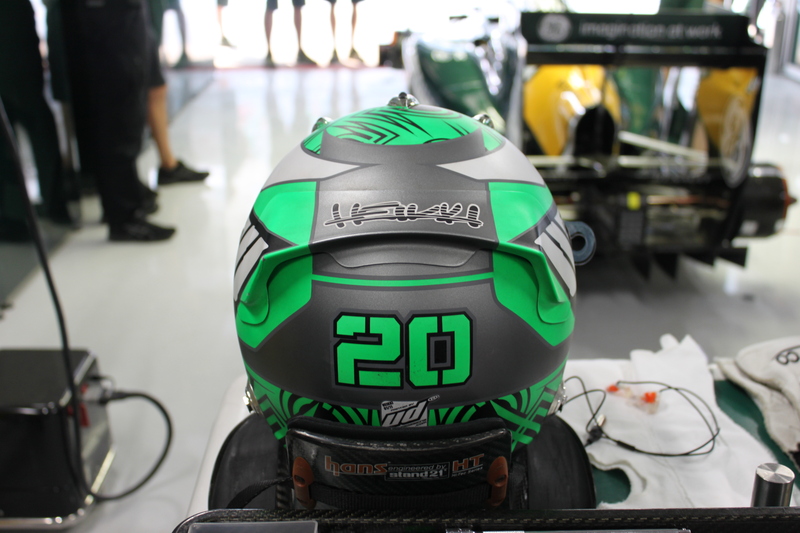 The team was forced to accept a lower quality driver because of the extremely high costs of running in F1. A philosopher such as Satz might view the high costs of F1 as somewhat of an exploitation of the smaller teams in F1. Whether the market for F1 race seats can be considered a “noxious market” nor not is debatable, but it is clear that because of high costs the teams are limited to drivers who have corporate sponsorship behind them, rather than a more stable driver with experience. This in turn affects the ability of the team to succeed. Drivers have also expressed their anger over the increasing commonality of pay drivers getting seats that they arguably are not ready for. Jaime Alguersauri claimed that F1 has become “an auction” after losing his seat to a younger driver at the end of the 2011 season. His complaints reference the lack of a traditional ladder-based system where talent alone is the deciding factor in determining who gets a seat in the top tier of motorsport. Pay drivers have been around for a long time and F1 seats were never purely determined by raw talent, but the commonality of pay drivers and the increasingly frequent lack of experience of the pay drivers is a major cause for concern. I found that the description of F1 as “an auction” related to our discussions in class about Sandel, and how the purchase of a seat in F1 reduces the value of that seat. Sandel might argue that the value of the seat has been reduced because the driver bought into the seat with sponsorship money rather than earning the seat based solely on talent. Another obvious concern in Formula 1 is the safety of the drivers. Over the past several decades, massive improvements in safety have been made. Even in the 1970’s driver deaths were commonplace and accepted as part of the danger of racing in Formula 1. Since then, safety has become of utmost importance, and the last driver death in the series happened in 1994 when Ayrton Senna died after a serious crash. The lack of a single death in F1 in nearly twenty years is surely a testament to the improved safety regulations, but some concerns over pay drivers are based on the potential danger that they bring to the sport. Pastor Maldonado is a Venezuelan driver who currently drives for Williams F1. 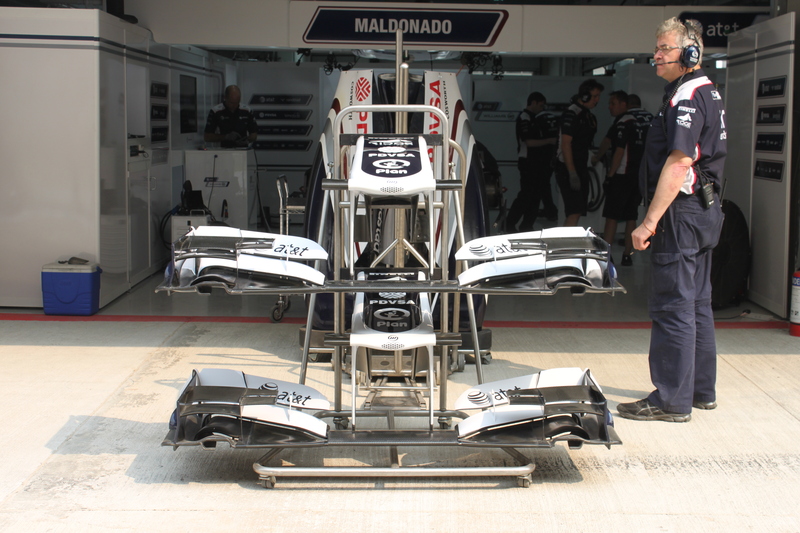 He began his F1 career in 2011 when he signed to the team, bringing a massive 30 million pounds annually to Williams. The money came from PDVSA, a Venezuelan gas company, and the deal was “approved personally by the [Venezuelan] President Hugo Chavez” (BBC). 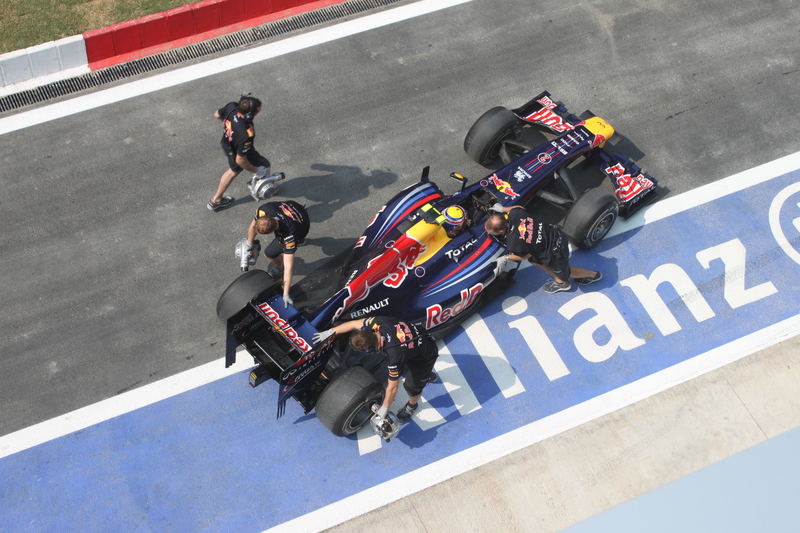 Maldonado did little to impress during his rookie year in F1, although the team was not very competitive that year. The more important factor here is that Maldonado quickly gained a reputation as one of the more “dangerous” drivers on the grid. In his first season, Maldonado retired from six races, only scoring one point. Even in the 2012 season (his second season), Maldonado picked up ten penalties, twice as many as any other driver (Keith Collantine). Penalties are normally rewarded for dangerous or overaggressive driving. As for the 30 million pounds PDVSA brings to the team annually, it seems to have very little impact on the performance of the team. The team scored a total of five points in 2011, which was one of their worst seasons on record as they took 9th place in the constructor’s championship. The team improved in 2012 with 76 total points and 8th in the constructor’s championship. However, with 16 of 19 races of the 2013 season already over, Williams has only one point and is almost certain to take 9th place in the standings again (Formula 1). The team does not seem to benefit hugely from the deal, and both drivers and fans of F1 racing have spoken out against Maldonado as a potentially dangerous driver. A pole done in 2012 by the Telegraph newspaper in England revealed how the audience reacted to Maldonado’s driving, showing that out of 6903 people, roughly 87% of people believe that Maldonado was “a danger to other drivers.” The minimal improvements brought to the team along with the increased danger brought to other drivers show the devaluation of certain standards in F1. By choosing to race Maldonado, Williams made it clear that to an extent, they value the money over the safety of other drivers in the sport. For a sport that has already spent so much time and money trying to research ways to improve safety, having a system in which dangerous, inexperienced drivers can have race seats seems both backward and immoral. Pay drivers have been a part of Formula 1 for a long time, and there is no denying that some of the drivers do eventually learn and improve to become competitive in the sport. However, the increased commonality of the pay drivers in the modern era of F1 is what concerns people the most. Also, many drivers and fans in F1 see some of the pay drivers as potential hazards. The fact that many modern pay drivers have almost zero on-track experience testing a Formula 1 car decreases the quality of racing, since most F1 fans agree that the sport should have the very best drivers in the world. When young drivers use massive corporate sponsorships to pay their way into a race seat, they are corrupting some of the traditional values associated with earning one’s position at the top. Not only does this system allow inexperienced drivers to take the place of established drivers, but also the potential danger posed by some pay drivers highlights the immorality of purchasing racing seats. There should not be a system that allows one to spend enough money to claim a spot in F1 if they are going to put other drivers at danger. Benammar , Emily . “Poll: is Pastor Maldonado a danger to other Formula One drivers after incident with Sergio Perez at Silverstone?.” The Telegraph . N.p., 12 July 2012. Web. 22 Oct. 2013. <http://www.telegraph.co.uk/sport/motorsport/formulaone/bmwsauber/9385119/Poll-is-Pastor-Maldonado-a-danger-to-other-Formula-One-drivers-after-incident-with-Sergio-Perez-at-Silverstone.html&gt;. Benson, Andrew. “Pay as you go, go, go: F1’s ‘pay drivers’ explained.” BBC News. BBC, 27 Jan. 2013. Web. 21 Oct. 2013. <http://www.bbc.co.uk/sport/0/formula1/21194933&gt;. Collantine, Keith . “Stewarding can be tough, admits Maldonado.” MotorSportsTalk. NBC, 2 Sept. 2013. Web. 22 Oct. 2013. <http://motorsportstalk.nbcsports.com/2013/09/02/stewarding-can-be-tough-admits-maldonado/&gt;. Rose, Gary. 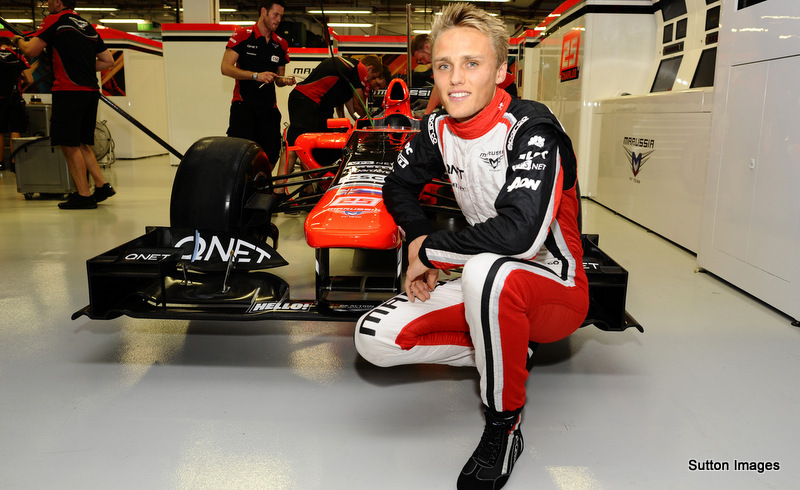 “Max Chilton brings ability as well as affluence to the F1 paddock.” BBC News. BBC, 27 Jan. 2013. Web. 21 Oct. 2013. <http://www.bbc.co.uk/sport/0/formula1/20788969&gt;. Kovalainen: A Possible Replacement for Massa? Ferrari’s has left the Formula 1 world in suspense by allowing Felipe Massa’s contract option to expire. 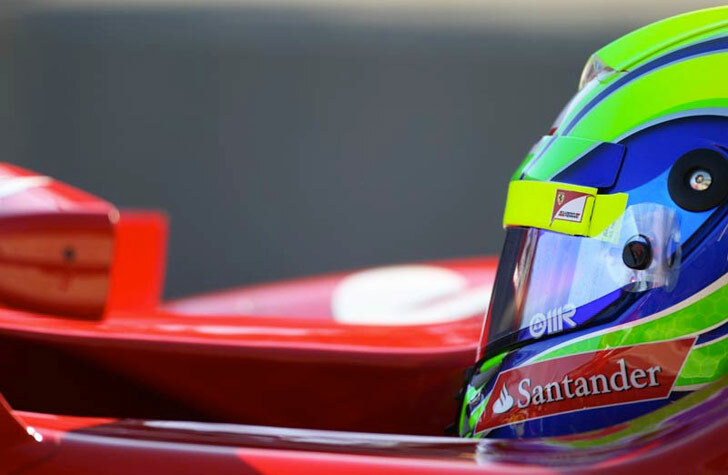 This option would have allowed Felipe Massa to extend his contract with Scuderia Ferrari. If Felipe Massa is to continue racing with the team, he must negotiate a brand new contract.The expiration of this option has shown that Ferrari are at least considering other drivers for 2012. Several drivers have already been linked to a seat alongside Fernando Alonso. There have been rumors of Kimi Raikkonen, Sergio Perez, Jenson Button, and even Lewis Hamilton piloting the second scarlet car. Around this time of year, it is common to hear rumors concerning vacant seats and expiring contracts. However, I am convinced that Ferrari are seriously looking for a replacement for Massa, and may be considering Heikki Kovalainen as their replacement. Kovalainen reportedly ‘smiled’ when asked about Ferrari rumors, leading some to believe that there has been contact between the two parties. He also stated that he “has what it takes” to compete in a top team (motorsport.com). These actions could mean nothing, and predictions should not be based on a statement given in front of the media. Under further examination however, Kovalainen seems a completely viable option for Ferrari to pursue. Ferrari would undoubtedly be looking for a driver who could rise to fill the gaps left by an underperforming Felipe Massa. One of Massa’s weakest areas has been in qualifying, an area in which Kovalainen has been most impressive recently. So far in 2012, he has outqualified his team mate 9 times from 11, with an average advantage of over 3.5 tenths of a second throughout the course of the season. In 2011, Kovalainen qualified higher than his team mates in 17 of 19 races. Furthermore, Kovalainen has made Q2 twice already this year, making him the only driver in the “new teams” to have made Q2. Where Massa has fallen short in qualifying, Kovalainen surely has the potential to bring the second Ferrari higher up the grid. Another area where Kovalainen has proved successful is in his consistency and his overall pace. Ferrari have found in Fernando Alonso a driver that can recover from a poor qualifying performance. A great example of this skill was in Valencia, where Alonso was able to fight back through the field to win the race despite qualifying 11th on the grid. Felipe Massa seems to hover around his grid position through out the race, or do more damage to the team’s championship hopes by losing ground and failing to recover. Kovalainen has proven to be a very efficient, consistent driver. Rarely has Kovalainen retired from a race due to driver error. In fact, Kovalainen could have finished in the points this year in the European Grand Prix, had it not been for a collision caused by Jean Eric Vergne that required Kovalainen to pit, and eventually finish 13th. Results like these show Kovalainen’s potential to punch above his car’s weight, as well as fight through the field efficiently and consistently. There are some cases to be made against Kovalainen, the first being that there are alternative drivers. Drivers such as Button, Hamilton, and Raikkonen are superb drivers and are considered among the best in F1. If Ferrari have the option to hire such a high-calibre driver, they may choose a Hamilton or a Raikkonen over Kovalainen. A second problem is that any driver going to Ferrari know that they will most likely play number 2 to Fernando Alonso, as Felipe Massa is doing currently. Whether Kovalainen would be willing to do this or not is unclear. Finally, it has been three seasons since Kovalainen has driven for a competitive team (McLaren). Some people say his experience in quicker cars has been beneficial, but driving for three years at the back of the grid may have offset some of the experience he may have gained earlier in his career. In my opinion, Kovalainen would be a very valuable asset for Ferrari. His three years at the back of the grid would unlikely have a large impact. Kimi Raikkonen did not race in F1 at all for two years, and upon his return he was up to speed very quickly. Kovalainen’s strong qualifying performance, coupled with consistently strong race performances could provide Ferrari with a much more stable driver in their second car. Although there are other possibilities for Ferrari drivers next year, Kovalainen must be taken into consideration. 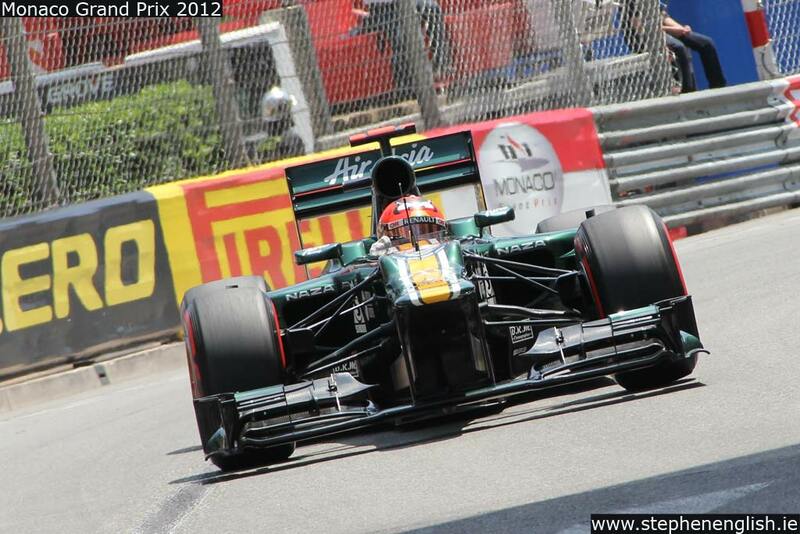 His performance at Lotus/Caterham has been most impressive, and he has matured as a driver since his McLaren days. Ferrari would be making a right decision by hiring Kovalainen as a second driver. Eventually We’ll End Up With A One-Make Series! 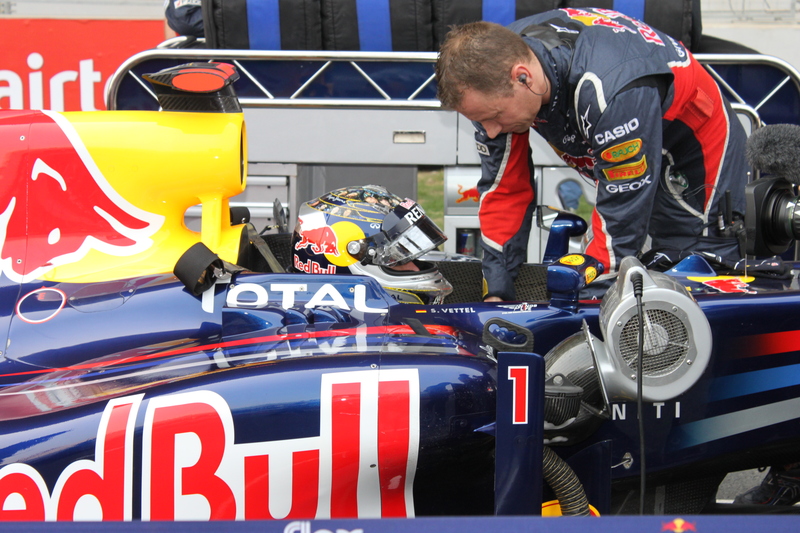 It was recently confirmed that the Double-DRS system will be banned for the 2013 season. The system was pioneered by Mercedes AMG Petronas team at the onset of the 2012 season, and another Double-DRS system is currently being developed by Lotus. 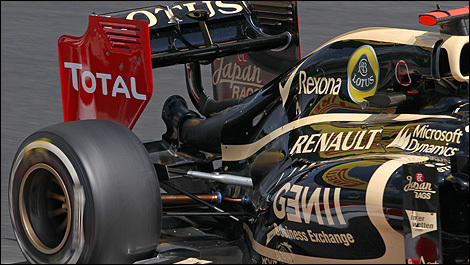 Lotus originally protested against the system at the Chinese Grand Prix, only to have their protest rejected. 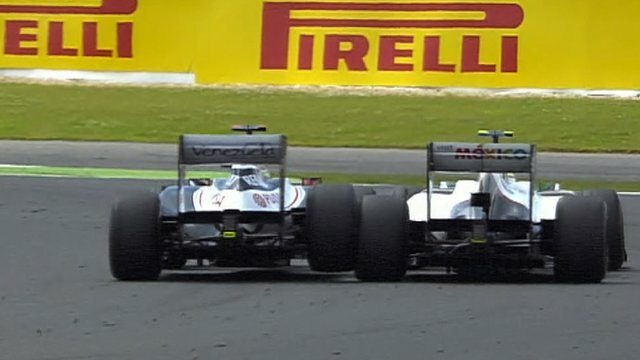 They are currently the only other team besides Mercedes who have developed a Double-DRS. Cost-cutting is the root cause of the ban of any Double-DRS mechanism; for several years now Formula 1 has been looking for any unnecessary expenses that can be removed from the sport. Formula 1 wants to avoid situations which may put teams in a ‘development race,’ and increase the cost of racing. For instance, the blown exhausts of 2011 were deemed a necessity up and down the pit lane, and millions of pounds were spent to find the perfect positioning of the exhaust pipes on the floor of the cars. This is the sort of engineering war that can raise the cost of racing for every team on the grid. The F1 Technical Working Group has decided that the Double-DRS system is too expensive a path for Formula 1 teams to take, and the majority of teams agreed that it should be banned for the 2013 season. 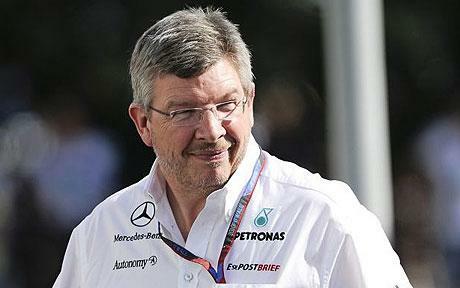 Ross Brawn disagreed by stating, “People talk about the huge cost, but there isn’t really a huge cost. You all know that there are a couple of carbon pipes running down the car, and the man on the street will tell you that they cost a few thousands pounds – they are not millions of pounds.” Are the majority of teams really agreeing in order to cut costs? Mercedes and Lotus have spent an unspecified amount of time and money developing their systems, and should now have the right to use these systems throughout the season. I completely agree with the fact that F1 costs are too high, and there are solutions to solving the cost problem. 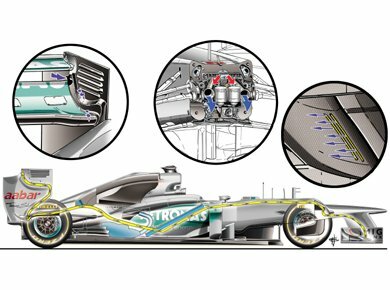 However, clever and (according to Ross Brawn) relatively inexpensive technological advancements should not be put to waste so quickly. The money that Lotus and Mercedes have spent developing their systems has effectively gone down the drain, and they are now left spending more of their money on other areas of the car, without any advantage given to them. Furthermore, the “majority” of other teams who voted to ban the device from F1 in 2013 now gain a relative advantage over Mercedes and Lotus, considering that they have spent less money and will share the same benefits brought by the original DRS system. Where is the sense in that? It must be noted that this is not an FIA decision. This decision was agreed upon by the majority of F1 teams, and I get the sense that several teams vote to ban the system in order to hold Mercedes and Lotus back. It is the logical thing to do in such a competitive sport, but it ruins some of the development and innovation in F1. Costs in F1 can be reduced in other areas. Everywhere we look in F1, there are massive cost-cutting opportunities. In the pits, the motor homes, the garages. By reducing several smaller factors in F1, one could significantly reduce the cost of racing all while keeping the development of the cars razor sharp. Without any room for development, eventually all F1 cars will approach identical aerodynamic designs, ruining the uniqueness of a multi-make series. F1 fans across the globe can only hope that reductions in cost are found elsewhere, and F1 engineers can be free to design new, exciting solutions. Why Are F1 Fans So Critical Of IndyCar? 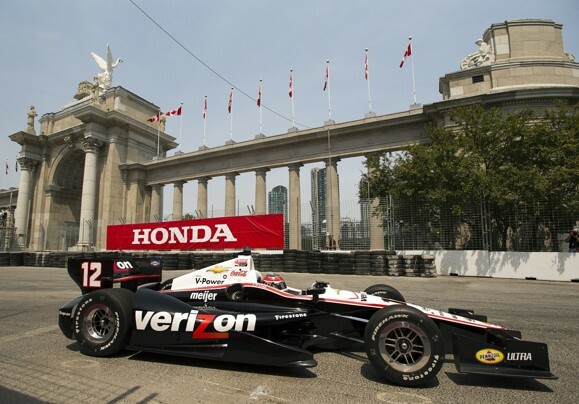 Three days ago, I watched the IndyCar street race through Toronto. I left the couch wondering why more F1 fans don’t watch Indy. Not only do many F1 fans ignore IndyCar as a whole, but they criticize the sport as being boring and talentless. A year ago, I would have done the same. I would have watched two laps of a typical Indy race and mocked the sport. After being a little more open-minded (and somewhat bored), I sat down to watch the Toronto race and found myself deeply enthralled in a fascinating race. 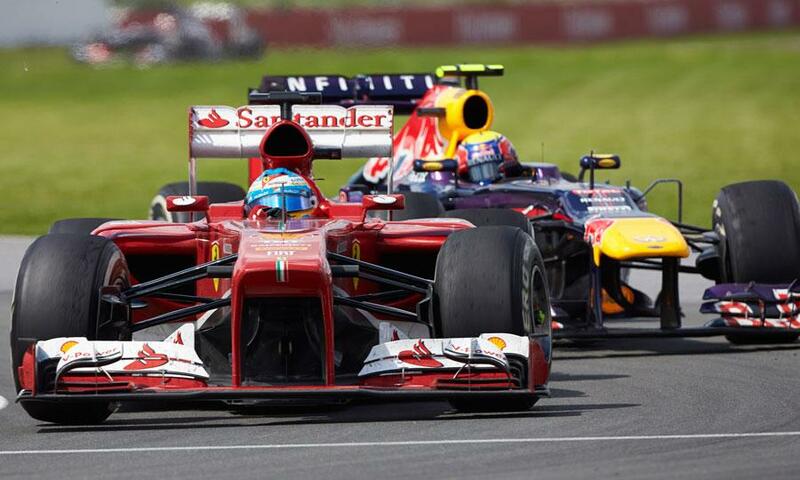 I thought to myself, “Many F1 fans appreciate different forms of motorsport, why are they so critical of IndyCar? Of course, there are fans of both series out there. But there seems to be some strange, mysterious disrespect between the two series, so I set out to find reasons as to why this would happen. First of all, IndyCar is incredibly American in it’s presentation. The fans are American, the announcers are American, and the teams are American as well. I hate to say it, but this could be seen as a problem, mostly from European fans. Unfortunately, the American presenters tend to dumb down the technical aspects of the cars and focus on the spectacle, and are usually very exuberant in doing so. After watching F1 and interacting with European fans and supporters, it is clear to me why Americanized motorsport could be a turn-off. Although the presentation of the sport is incredibly American, the drivers themselves come from around the world. 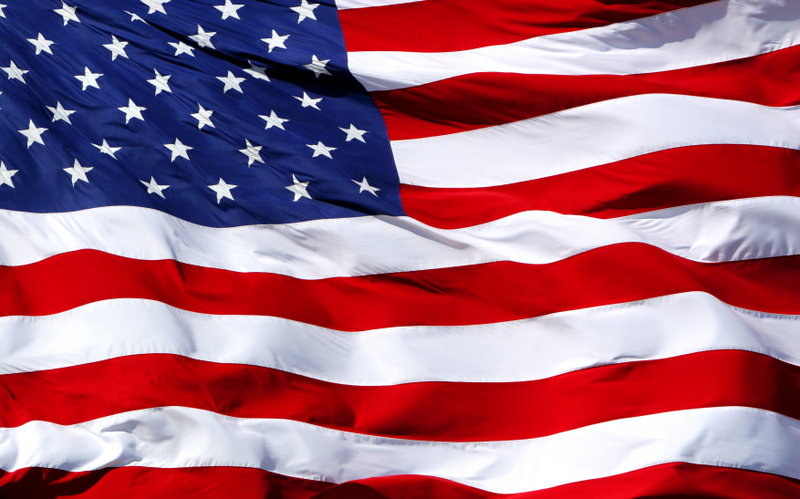 There are only six American drivers in a field of twenty. Other nationalities include Spanish, Brazilian, Japanese, British, Australian, and several others. In terms of driver diversity, IndyCar is certainly on par with Formula 1. Another frequent complaint concerns the oval racing. 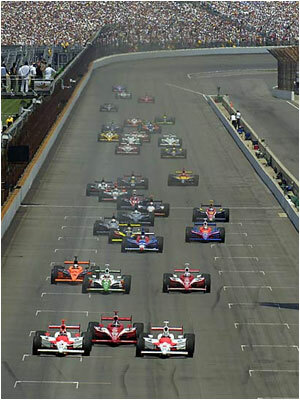 IndyCar is criticized as being boring because the cars only turn left. It is very clear as to why F1 fans would find this boring. However, it is unfair to critique oval racers as being talentless. Their throttle inputs and positioning of the car is incredibly skillful and should not go unnoticed. Also, oval racing makes for incredibly close battles up and down the field that can last for dozens of laps, unlike F1 scraps. When racing at 220 miles per hour, the incredible precision used by the drivers during overtaking maneuvers is fantastic to watch. Not only can oval racing be exciting, but the road courses in the IndyCar schedule are fantastic to watch. Throughout the season, there are only 5 oval races. The majority of races in IndyCar are now on circuits and street courses. The races are fantastic to watch, and even though the cars are not as fast or sophisticated as F1 cars, the racing is still tight. Motorsport fans should appreciate a good race, no matter how quickly the cars are going. One can not deny the fact that IndyCars are less technologically advanced than F1 cars. F1 is, and will always be the pinnacle of motorsport. IndyCars chassis are supplied all by one company, and therefore there is no variation in the design aspect from team to team. This is a large negative aspect of F1, as it allows for no in-season development as we have in F1, and no variation in strategy from an aerodynamics point of view. However, similar to the GP2 series, a single manufacturer leads to closer racing and a more competitive field. This should be considered a benefit, no matter what racing series you watch. The list of ‘problems’ went on and on in my head. But I found that for each argument I made against IndyCar, I found a counter argument in its favor. I understand why F1 fans don’t watch IndyCar; the simple issue of broadcasting often limits motor racing fans from certain series. 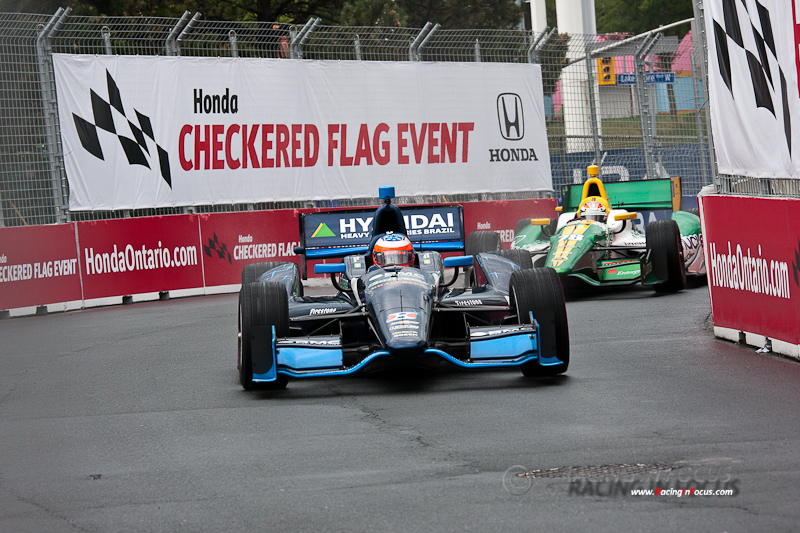 However, after watching the Toronto race, it was impossible for me to tell why F1 fans can be so critical of IndyCar. The drivers are talented. They go through years of training just like F1 drivers. The racing is extremely close due to a large field and a single supplier. No matter what the series, a fan of motorsports should be able to appreciate a competitive race, rather than criticize everything about it. I’m sure I can’t change whether or not people will watch IndyCar, but I encourage others to watch an IndyCar race in the hopes that they will respect it for what it is: good racing. Should Anything Happen to Maldonado? A thrilling British Grand Prix saw Mark Webber climb to the top of the podium this year for the second time, beating out pole sitter Fernando Alonso in the last stage of the race. Unfortunately, the race also saw Pastor Maldonado involved in an incident that brought another driver’s race to an end for the second time in a row. Ever since his win in Barcelona, Maldonado’s public support has collapsed. His reputation was dealt a huge blow when he crashed with Hamilton in the final laps of the race, bringing Hamilton’s race to an end. In Monaco, Maldonado put Sergio Perez in danger during practice by suddenly cutting in front of the Sauber driver. And finally today was an incident between Maldonado and Sergio Perez, causing Perez to crash out of the race. Perez was attempting to overtake Maldonado after the DRS zone into Brooklands corner. Perez tried to take the outside line all the way through the corner to overtake, but made contact with Maldonado midway through the corner. Maldonado was able to limp back to the pits and finish a lonely sixteenth, while Perez was out of the race then and there. Watching the incident for the first time, I immediately blamed Maldonado for the incident. I assumed he was attempting to push Perez out onto a dirty line and take the better line for the next corner. 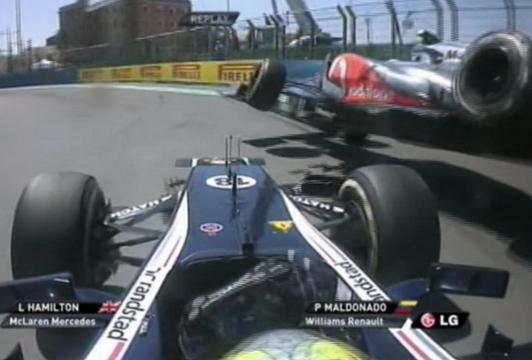 However, I watched the incident several times and in my opinion, Maldonado should not take all the blame. Perez put his car on the outside of Maldonado’s. By doing this, he is putting himself at risk of having an accident. F1 cars run wide frequently, and Perez knows this. On entry into the corner, Maldonado lost the back end of the car and slid wide by a couple of feet. Had Perez not been there, Maldonado would most likely have recovered and carried on racing. Rather than an over-aggressive maneuver to push Perez wide, the accident was a result of Maldonado losing control of the rear of his car. One would argue that a good driver should have maintained control of the car, but under such pressure every driver has made mistakes. 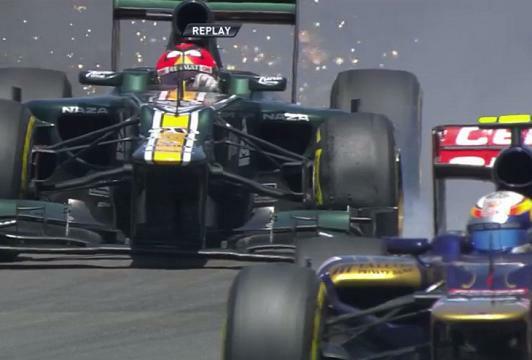 Maldonado was not making an aggressive move as he did in Valencia. He was taking a normal racing line, attempting to defend his position, and lost control while doing so. This is the reason why this collision should be ruled a racing incident. Perez went on a rant at the end of the race about how Maldonado makes errors and ruined the races of both Perez and Hamilton. He went on to call Maldonado a “very stupid driver.” Most likely, Perez was incredibly frustrated at the time of this statement, and probably had not watched the footage of the incident. Perez has a strong reason to be angry at Maldonado, especially after their completely unnecessary coming-together in Monaco. Don’t get me wrong, I still acknowledge that Maldonado is a particularly aggressive, possibly dangerous driver. In this case however, he should not take the blame completely. Maldonado is an accident-prone driver. Bring more wings, Williams. Immediately after the crash, fans were full of anger toward Pastor Maldonado, criticizing his dangerous behavior and his reckless driving. It was somewhat unfortunate, because I believe that Maldonado was blamed for this incident simply because of his history with other incidents. There are accident-prone drivers, and Maldonado is certainly one of them. But I find it unfair that he be blamed immediately for this incident due to his reputation, as he was not entirely at fault for this collision today. In my opinion, he should receive no penalty for his collision today. 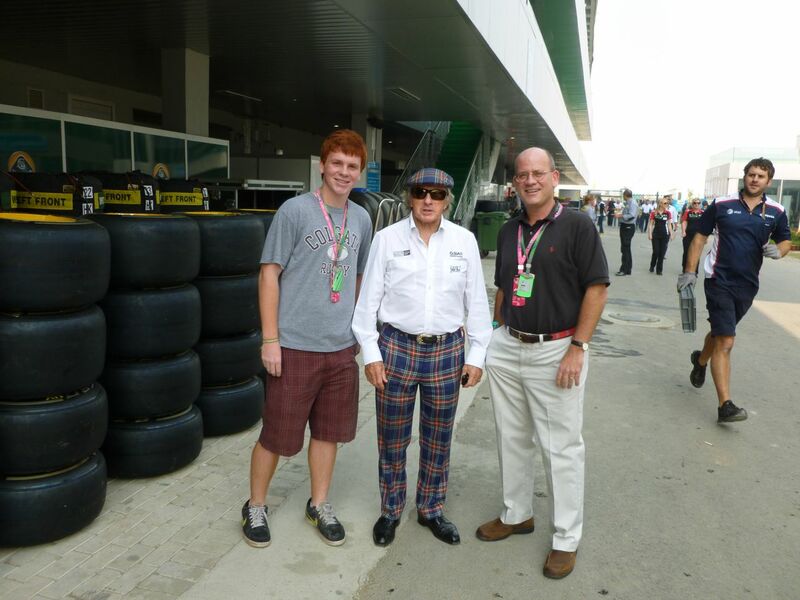 Me, Dad, and Jackie Stewart at the 2011 Indian GP!!! Will We Finally See a Repeat Winner in Valencia? Qualifying in Valencia saw Sebastian Vettel soar to the top of the time sheets, creating a gap of over three tenths of a second to Lewis Hamilton, who will start the race alongside Vettel. By 2012 standards, three tenths of a second is quite a large gap, and F1 fans were reminded of Vettel’s dominance over qualifying in 2011. 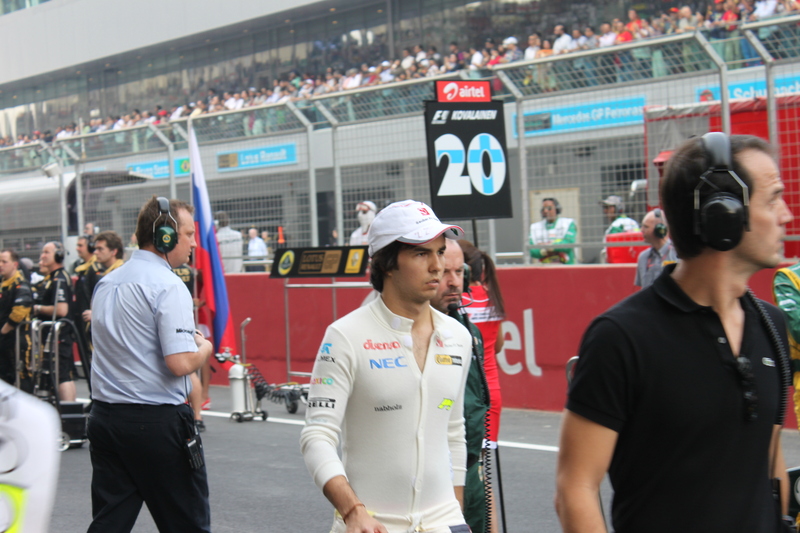 Now that the grid is set, fans are left to wonder whether or not we will see the first ‘repeat-winner’ of 2012. So far, we’ve seen seven different drivers win the first seven races, and it seems more likely than ever that we will see the first driver to notch two victories to his name this weekend. The first three drivers on the grid have already won races. The other winners, however, are further back on the grid. Nico Rosberg qualified in sixth place, Jenson Button in ninth, Fernando Alonso in eleventh, and Mark Webber all the way back in 19th position due to a DRS failure. The most ‘likely’ drivers to claim their second victory are Vettel, Hamilton, and Maldonado in first, second, and third positions respectively. I use the word ‘likely’ with caution, because as always in F1, race results are determined by much more complex factors than the qualifying results. Red Bull have been somewhat disappointed with their race pace, highlighted by Mark Webber’s comments after Friday practice. They have run well in the heat before, such as in Bahrain, but they seem to be lacking a little bit of long-distance pace. If this truly is a problem, Vettel must pull out an early lead in the first stint, and may want to use the soft tires for as long as possible. Spending too much time on the harder tires could create problems for Red Bull. Lewis Hamilton should be a strong contender this race, given his relatively strong pace during practice sessions. McLaren seemed more confident than the Red Bull concerning their long-distance pace. However, during the post-qualifying press conference he clearly stated that he was aware of the pace capable of both Lotus and Ferrari. With two Lotus cars in the top 5 positions on the grid, they must be considered contenders for victory. If we look at the performance of Lotus in Bahrain, we see that Raikkonen started the race in eleventh place and eventually found his way up to second, in front of the second Lotus car, which Romain Grosjean drove from seventh on the grid to third place. During the past month, Lotus have been trying to improve their qualifying performances. They’ve achieved their best result in Valencia since the Spanish Grand Prix three races ago. With a strong qualifying performance and the very hot track temperature playing into their favor, Lotus are in a very strong position from which they can challenge for victory. Personally, my money is on Grosjean for the race win. If Grosjean is able to stick with the leaders at the beginning of the race, he has the potential to put on a very strong late-race charge, as Raikkonen did in Bahrain. Given Red Bull’s possible race pace issues, the race could possibly come down to a battle between Hamilton and Grosjean, and possibly Kimi Raikkonen as well. Given Lotus’ consistent pace throughout the weekend, and Hamilton’s wariness of their speed, I believe that a Lotus driver will be standing on the top step of the podium tomorrow. Then again, this is 2012. Heikki Kovalainen could win tomorrow, for all I know. Hell, maybe even Kovalainen could win one this season! Do Tires Play Too Much of a Role in F1? Why is Hamilton’s Future Hanging in the Balance? Is Webber a True Title Contender?